As the Bureau of Land Management (BLM) continues to remove wild horses from the land that was set aside for them, the government is wiping out the wild horses at an alarming rate. Currently there are 38,000 horses and burros in government holding facilities across the western United States and only 17,000 remaining in the wild. They plan to remove another 9,000 this year. BLM continues to remove horses even though they have nowhere to put them. 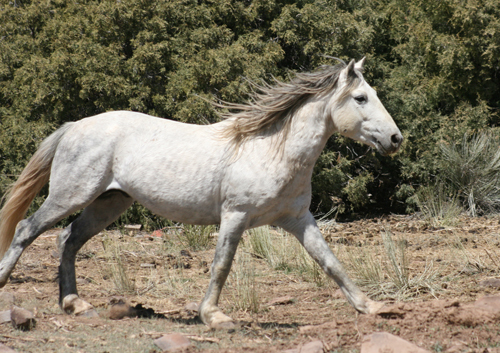 In the state of New Mexico, there were 18 wild horse management areas. BLM has eliminated all but two. The remaining two management areas are to be cleared out by the end of the year. If they do leave horses in the wild, they are removing large numbers and not leaving a viable breeding population (minimum of 150 horses) which will eventually lead to inbreeding and destruction of the wild horse herds. 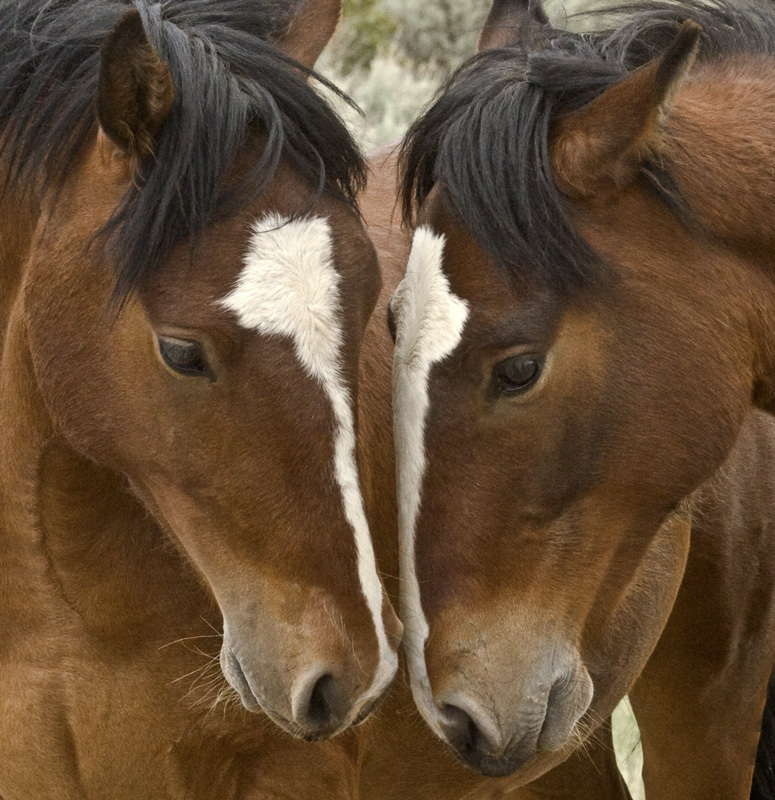 At the BLM conference in June 2010, they talked about a sterilization program and possibly releasing some of the horses back onto the land in temporary preserves. With their plan to geld the stallions and give the mares birth control injections, the BLM is wiping out the herds in plain sight. With no reproduction, as the horses die off the BLM gets rid of the horses, take the land back for cattle or gas and oil leases, all the while patronizing the public with “all they are doing to save the horses”. This has to stop. Write to your Congressmen, Senators and President Obama; demand they take action to stop the round ups in order to save our wild horses. Go to the BLM website to voice your concerns online. The wild horse is a native species of the Americas. Our own government has studies proving the horses were here 50 million years ago, they became extinct 8,000 to 10,000 years ago and then re-introduced by the Spanish explorers in the early 1500’s. With horses escaping and being released, by 1540, wild horses had established herds throughout the southwest. By 1900 it is estimated that there were 2 to 5 million wild horses running on the plains and deserts of the southwest. Now we have 17,000 and soon to be much less. It is up to us, the American People, to demand that the government stop the removal and destruction of Our Wild Horses.